Hello everyone! It’s been a hectic month for me, as I made the decision to move across Seoul to get away from the place I was living at (if you don’t like being social and want to leave in peace and quiet, NEVER move into a Korean “hasukjib”), all of which I finally finished with yesterday! 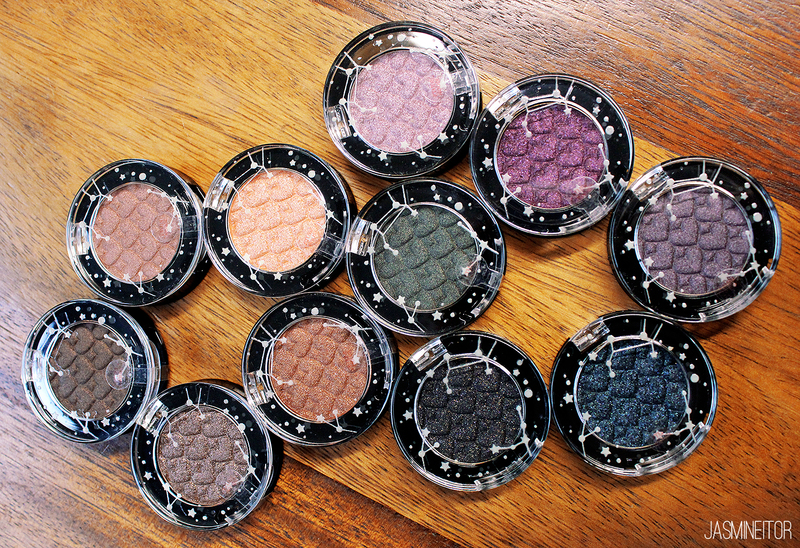 Anyway, Etude House released a new collection of 12 eyeshadows, of which I was sent 11 (and bought the 12th) for review. I also demonstrated 3 different makeup looks using only these colours 🙂 . 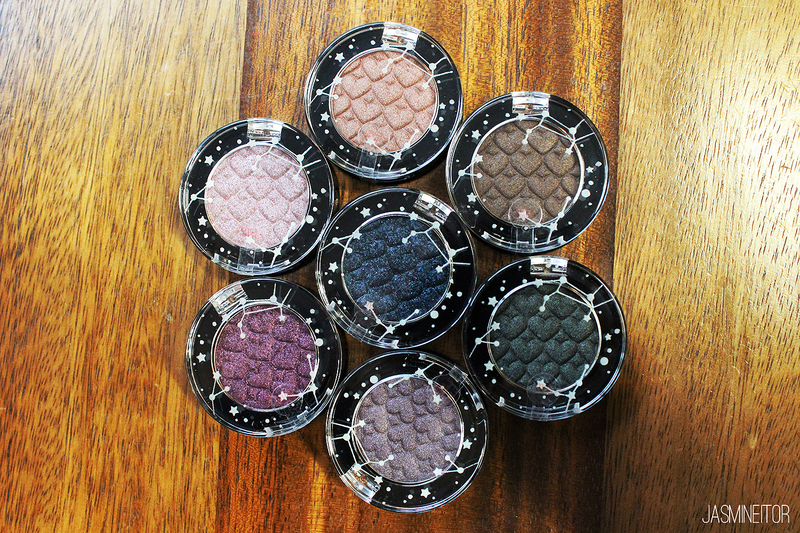 These 12 eyeshadows are based on the Zodiac signs, so if you’re into that kind of thing, you can find which shadow matches your zodiac sign based on my translations of the names below 😀 . There are 7 shadows in the regular Look At My Eyes texture, and 5 in the Jewel texture. 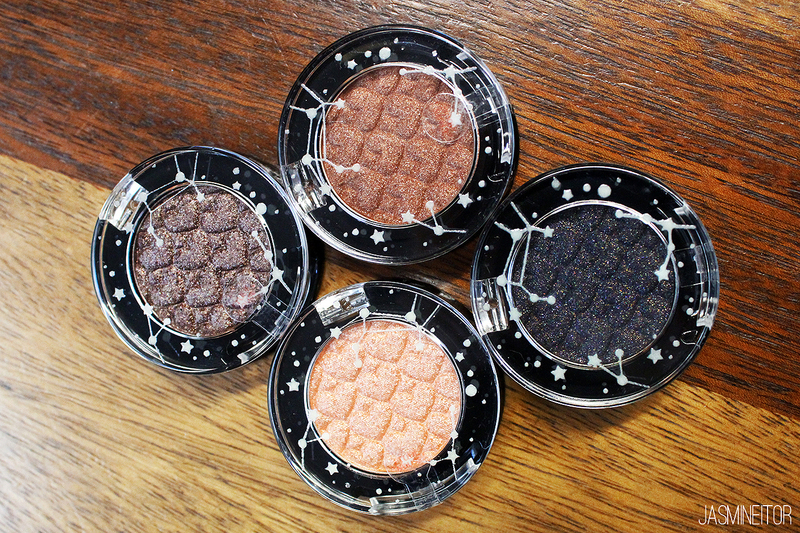 The regular shadows are said to contain fine glitter mixed all throughout the powder to give an even sparkling finish. 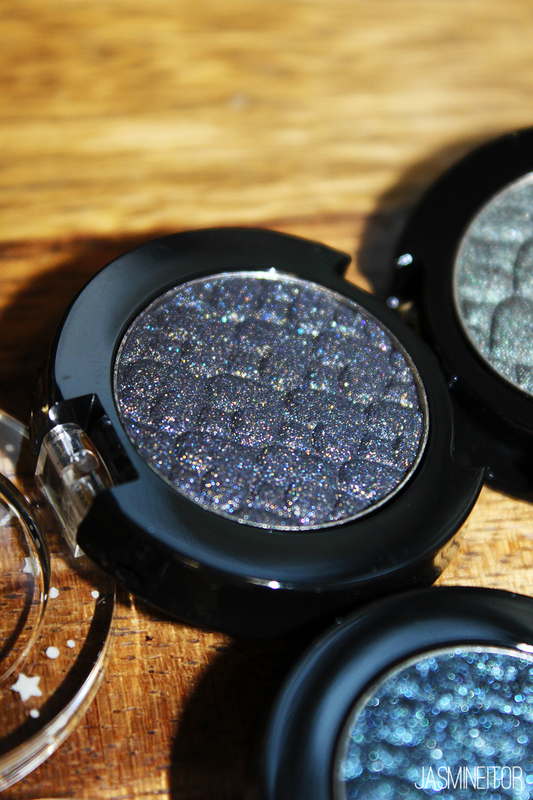 The Jewel shadows are made in a”shine slick” texture, which is supposed to be a moist, jelly-like texture that goes on smoothly without fallout. 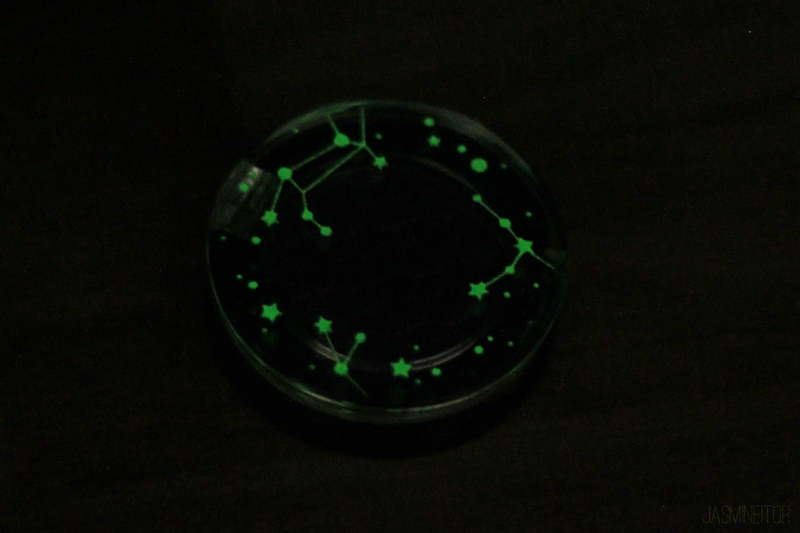 A special feature of the packaging is that it’s glow in the dark! Unfortunately, I always depot my Etude shadows into the Etude Z-palettes so don’t get to enjoy packaging like this for very long 🙁 . 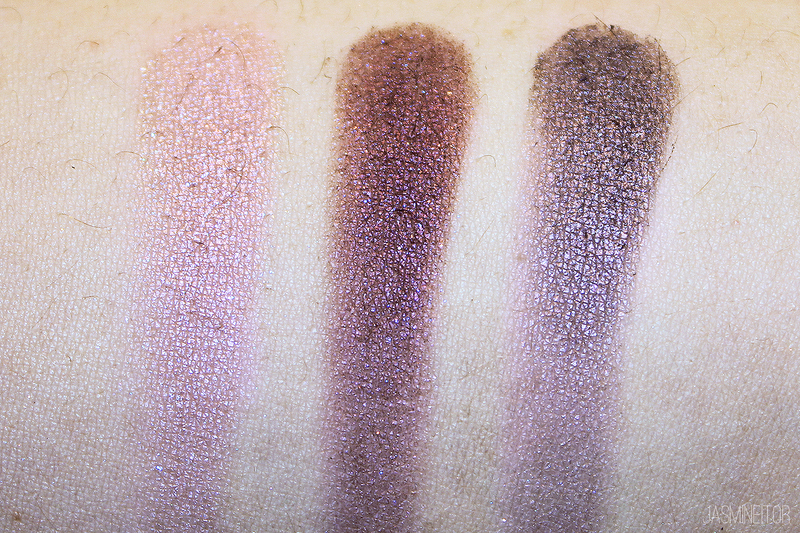 I will be reviewing the shadows in 3 sections – Browns, Purples, and others! At the end I will also have 3 looks using the shadows. If you’re searching for a particular colour, you can find it by typing in the colour code/name in Korean by searching in your browser (ctrl+F). As this collection is almost entirely cool-toned, I find it interesting that they’d include such a starkly warm-toned shadow like the one in the upper left corner. BR415 is a Jewel shadow representing Sagittarius. It is a cool-toned grayish brown with a ton of gold and silver glitter. BR416 is a Jewel shadow representing Taurus. 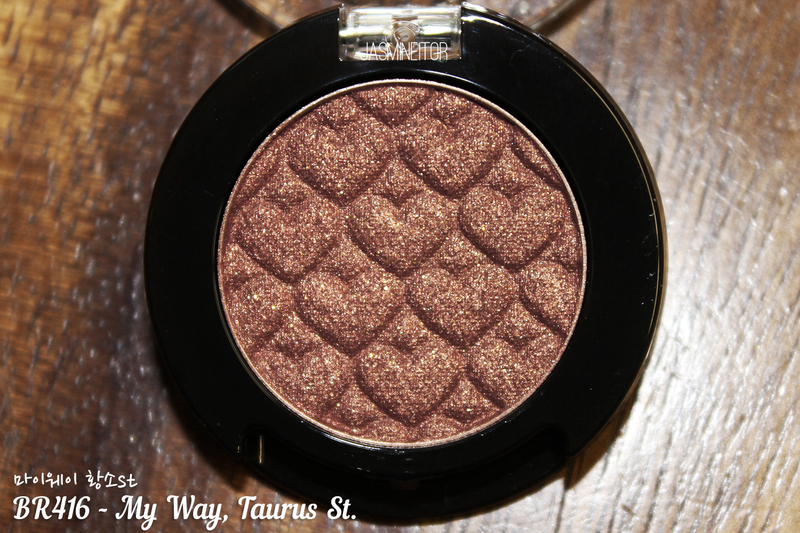 It is a warm brown with gold and bronze glitter. BR428 is a regular shadow based off of my own zodiac sign, Cancer. This colour does not suit my personality at all, as it is a very basic champagne-y brown, and I really don’t have much to say about it 😂 . BR429 is a regular shadow representing Capricorn. 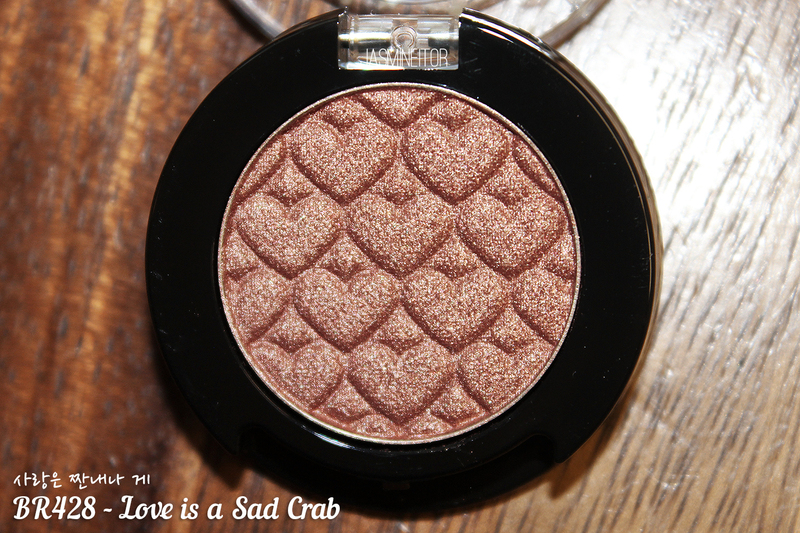 It’s a dusty, gray brown with small gold and pink glitter. 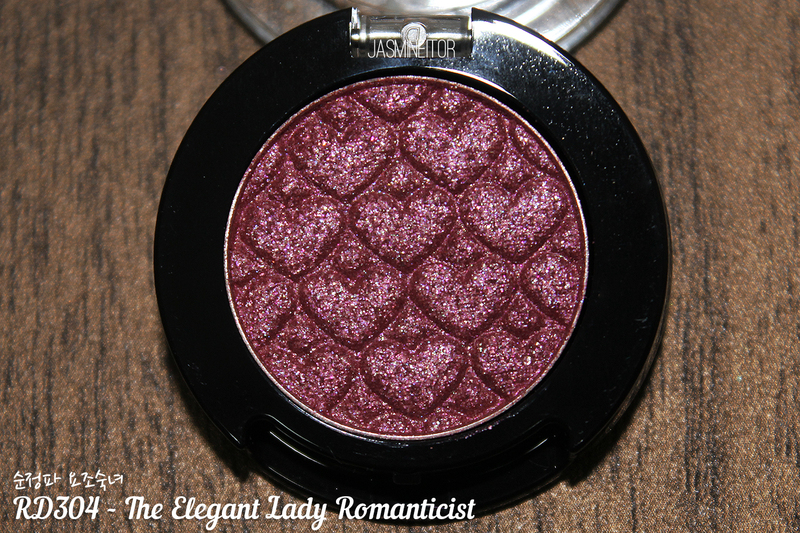 The pink is barely noticeable – I would say it’s more of a shimmer chocolate brown. My favourite out of the 4 is probably BR415. I’m not a huge fan of shimmer shadows, as I prefer either straight matte or glitter bombs, so the other colours fell a little short for me. I have a hard time getting them to stick to my lid unless I use a sticky base. The colours of the shadows shown in the pan pictures are a little more accurate to how they look in real life. The lighting in my new house is VERY yellow, so I’m having trouble balancing the colours 🙁 . 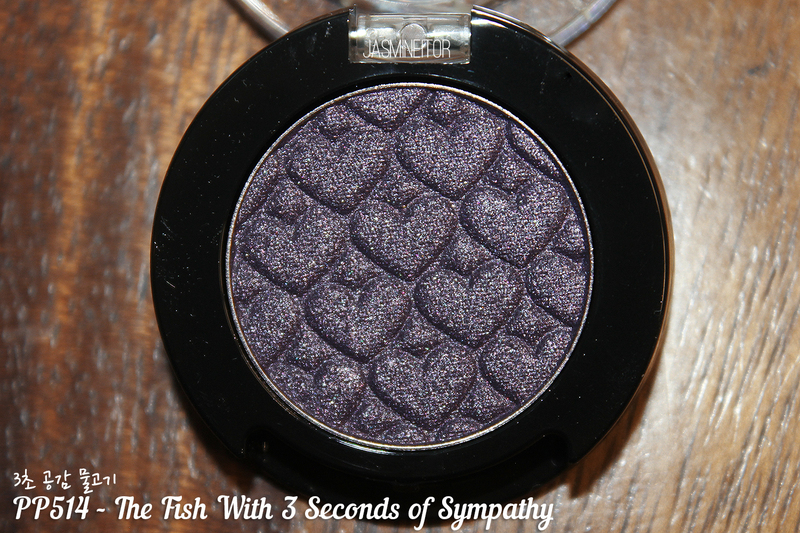 Next comes my favourite colour and most anticipated shadows of the collection – the purples! 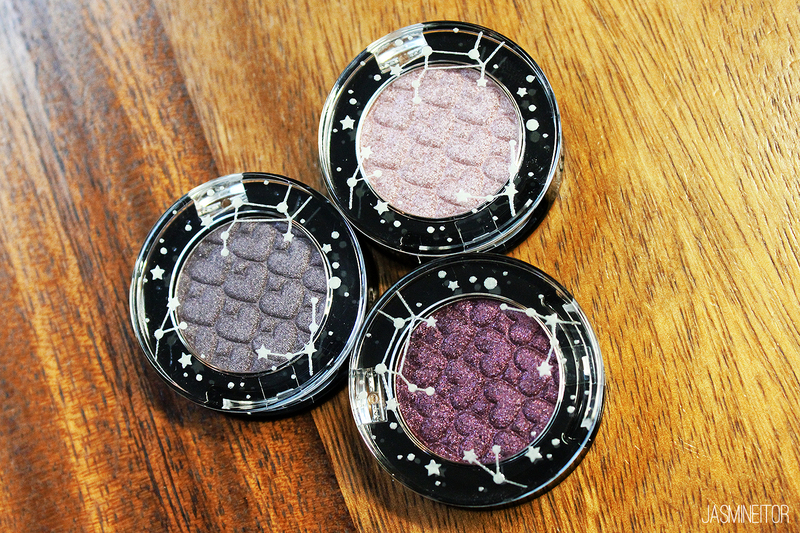 All 3 of these are regular, non-Jewel shadows. PP512 represents Aquarius. 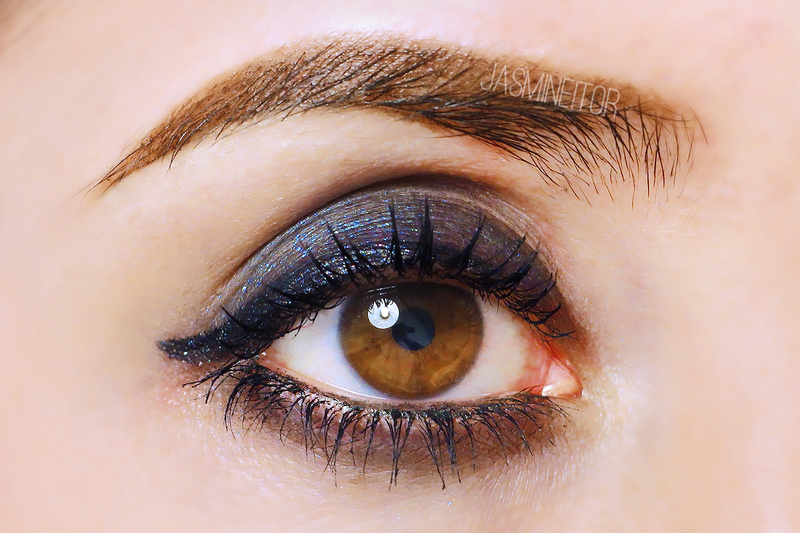 This is a sheer purpley silver with blue pearl shimmer. One of my favourites! PP513 represents Leo. This is another favourite. 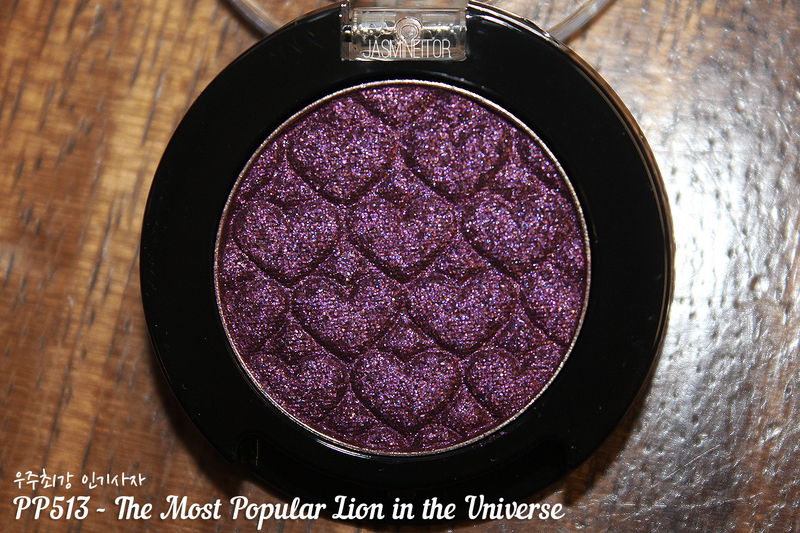 This is a purple with lots of blue, purple, and gold glitter. The gold gives it a slight reddish/warm effect. These 3 also come off very cool-toned. PP512 reflects quite prettily in the light, but like almost all of the shadows in this collection, must be really packed on to get the full effect. I hadn’t bought the final shadow before taking this picture, so it’s missing here :p .
3/5 of these last ones are in the Jewel finish. RD304 represents Virgo, of course! 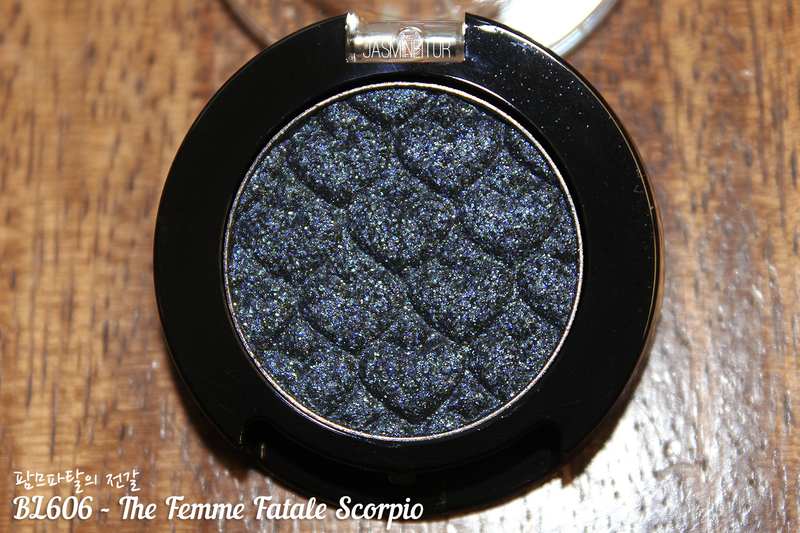 This is one of the few colours that I feel actually matches the Zodiac sign. It’s a pinky red with lots of multicoloured sparkles. OR206 represents Aries. 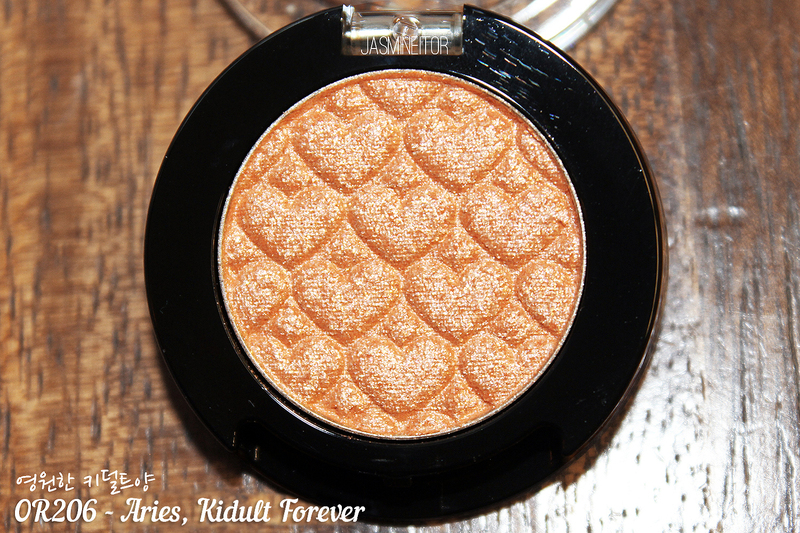 It’s a very glittery apricot with “vaseline-like” shimmer (in Etude’s words😅). 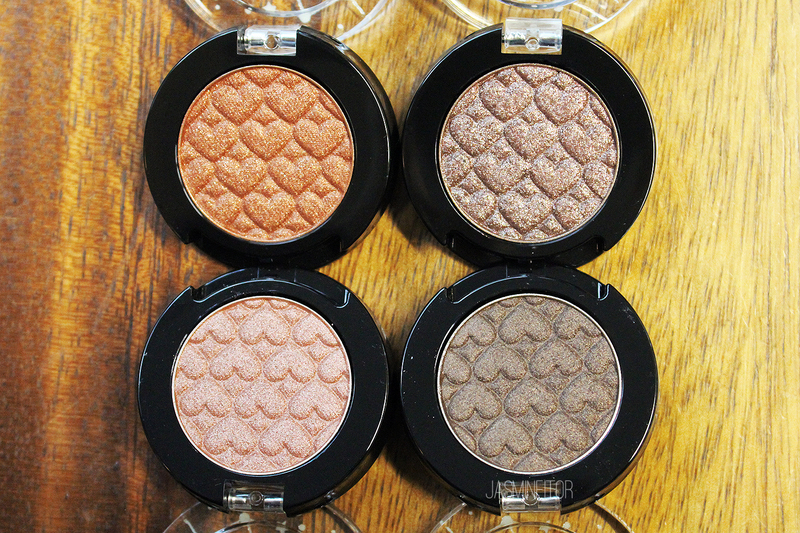 But I see what they mean – this shadow gives an almost wet effect on your lids! GR709 represents Gemini. It’s a gray-ish green with gold pearl. I wish this one was on a green base instead of a gray one, as it ends up looking plain gray on my lids 🙁 . BL606 represents Scorpio. This one claims to be on a navy base, but I find it looks more like a matte black. It has blue and green shimmer. This one is a bit finicky, but I’m starting to wonder if there’s something wrong with my brushes/technique. I always have trouble getting shimmer shadows to stick 🙁 . 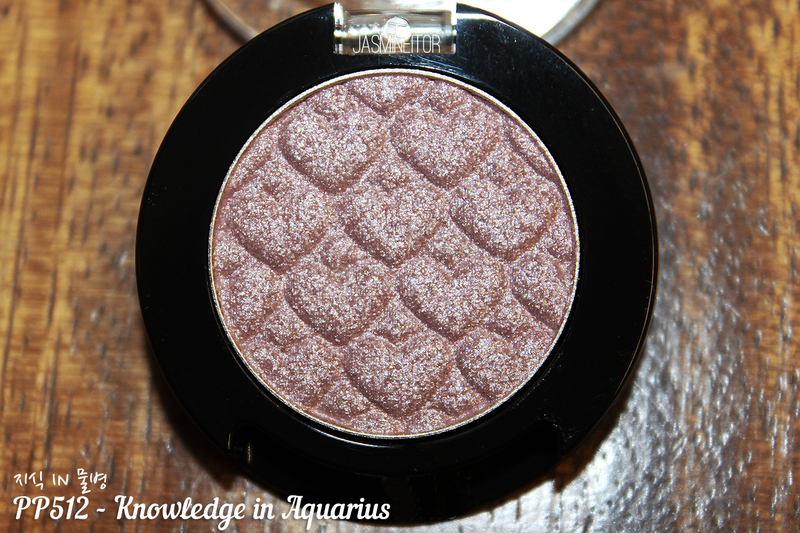 The final shadow, BK804, represents Libra. This was the shadow I both looked forward to the most, and also dreaded the most. It’s a matte black with rainbow glitter. Shadows with a dark matte base and glitter on top never seem to translate onto the lid well, so I tried various methods of application below! 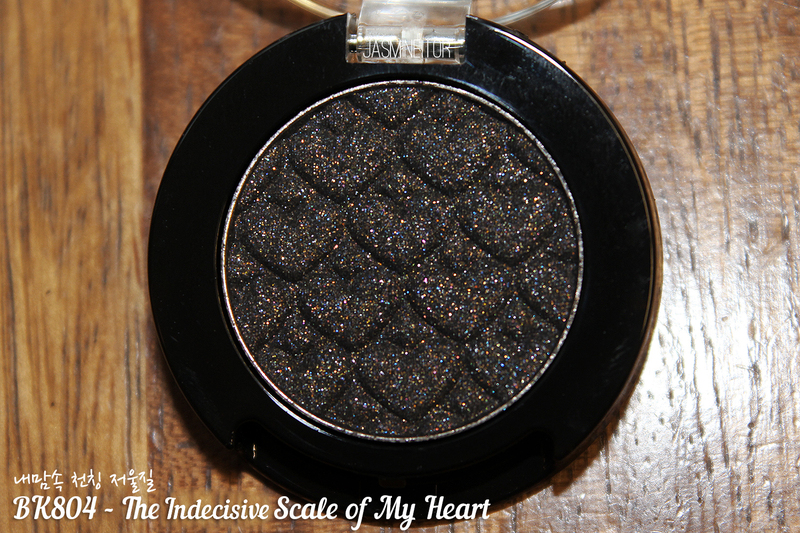 On its own, the black is very dull and slightly patchy, and the glitter barely shows up. Using a basic eye primer helps to intensify the black, but the glitter still isn’t where I would want it to be. 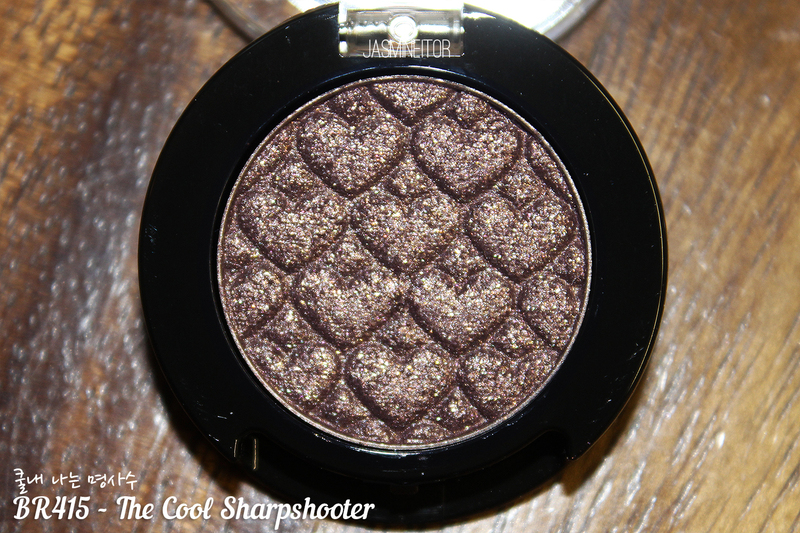 A glitter base brings out the glitter, but it’s no surprise that the matte aspect of the shadow performs poorly here. The best result was applying it onto a black base, as the black crayon gives an even finish, and the cream texture helps more glitter to stick and show up. 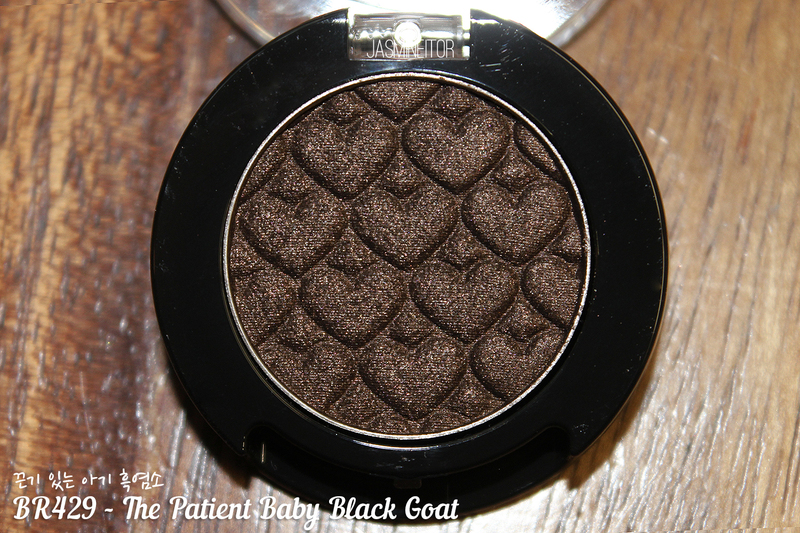 I did this out of personal curiosity, but you can see that the Etude Shadow actually has quite a grayish/brown-black base instead of a navy base which seems to be more common. I actually quite like how it looks! 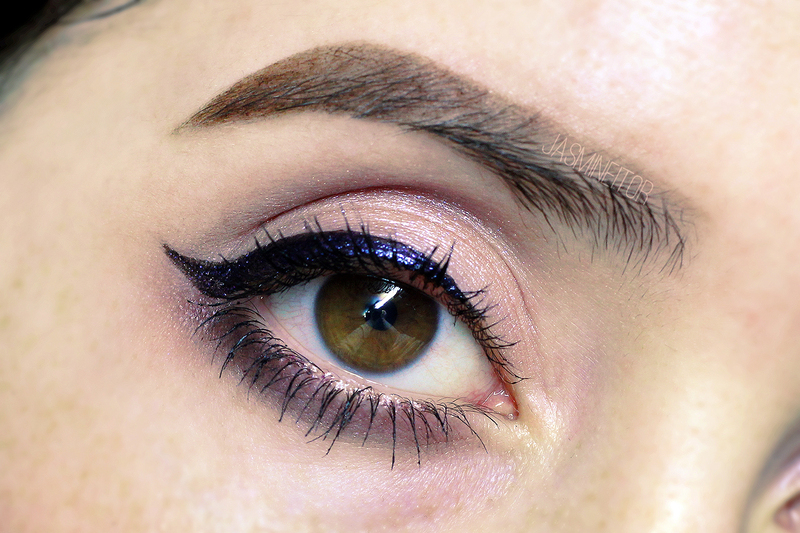 I find it nice to pat on top of cream eyeliner to smudge it out and add some glitter. I really wish I could figure out how to apply shimmer shadows properly, as I find that even when wetting my brush with a fixing spray they still don’t work out well for me. 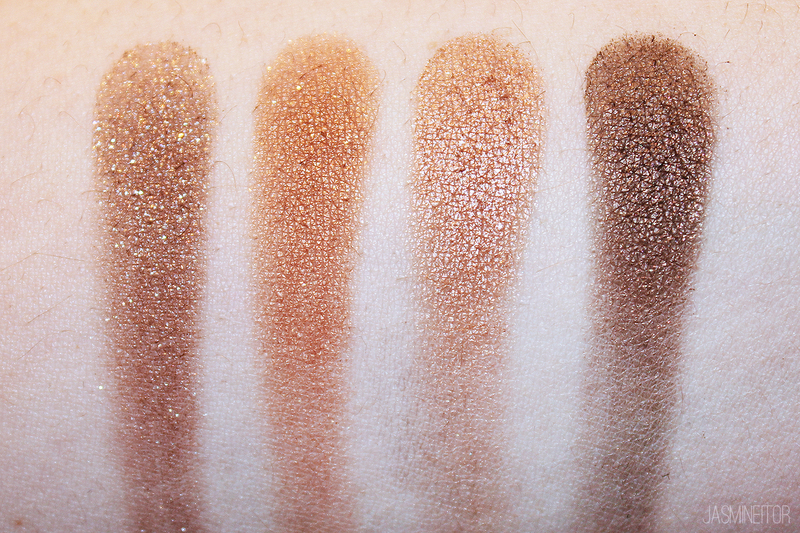 These shadows pack a punch when you first apply them, but when dragging my finger the shimmer disappears and leaves behind a patchy matte base. I used BR428 all over my lid, deepening the inner and outer edges with BR416. 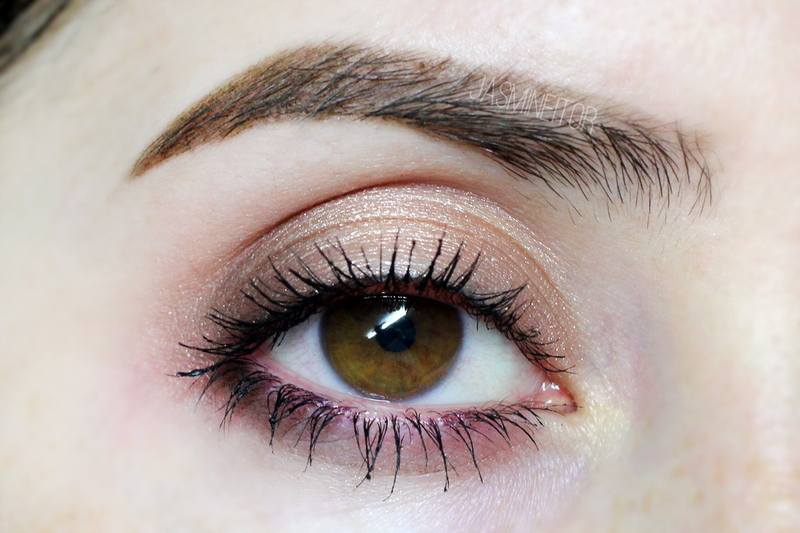 I then used BR429 smoked out in my outer lash line to deepen it further. Everything was applied with my fingers (my preferred way of applying shimmer shadows) and blended out with a blending brush. Very simple, easy look! I can’t say I’m a huge fan of this collection. 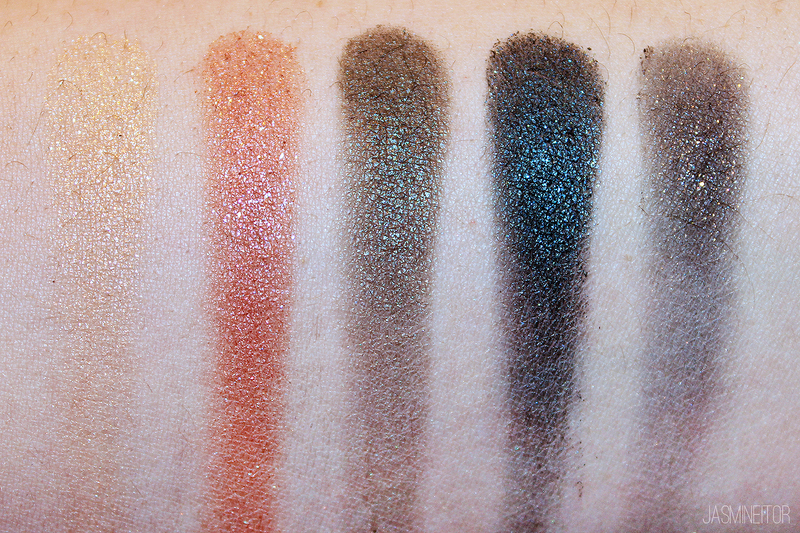 There are a few nice shadows, but I am a big hater of shimmers on matte bases. 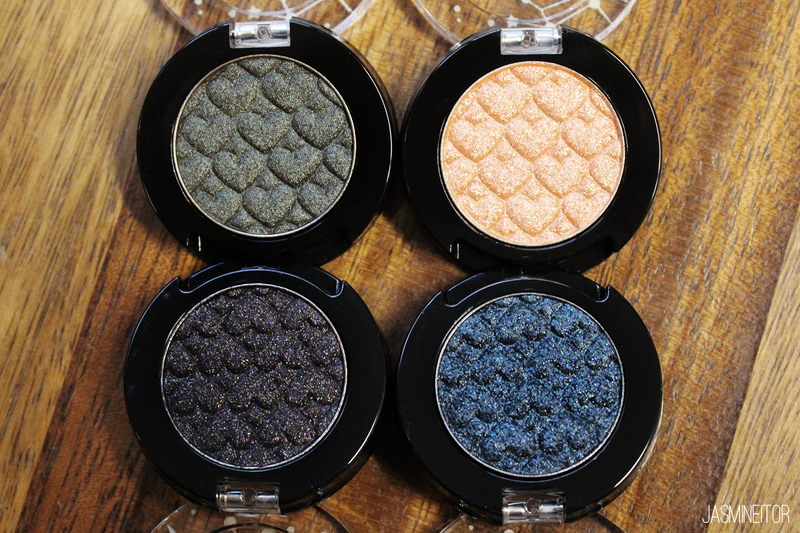 It might be just me, but I find that matte shadows need a certain type of base to pop, which is a completely different base that’s needed to make shimmers pop. 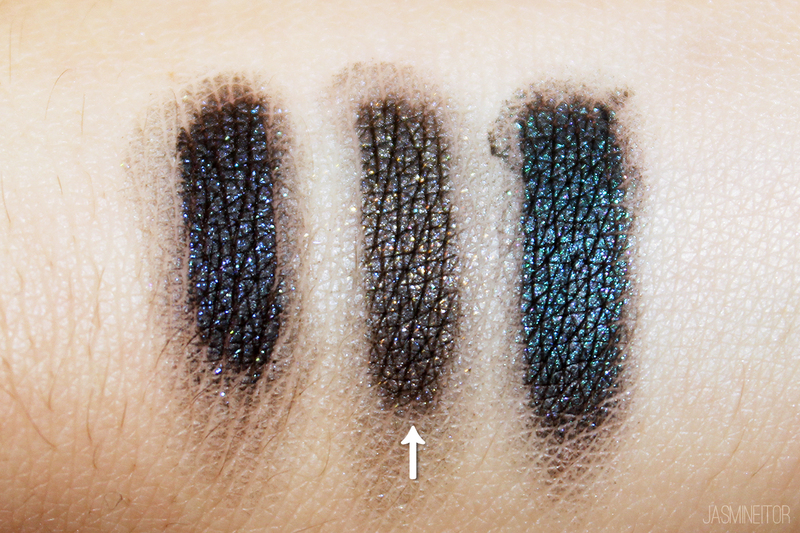 This means that the matte part of the shadow performs terribly on a base that helps the shimmer part, and vice versa. Because of this I found that a lot of these shadows went on super patchy 🙁 . The solution to this is a cream base and lots of blending! 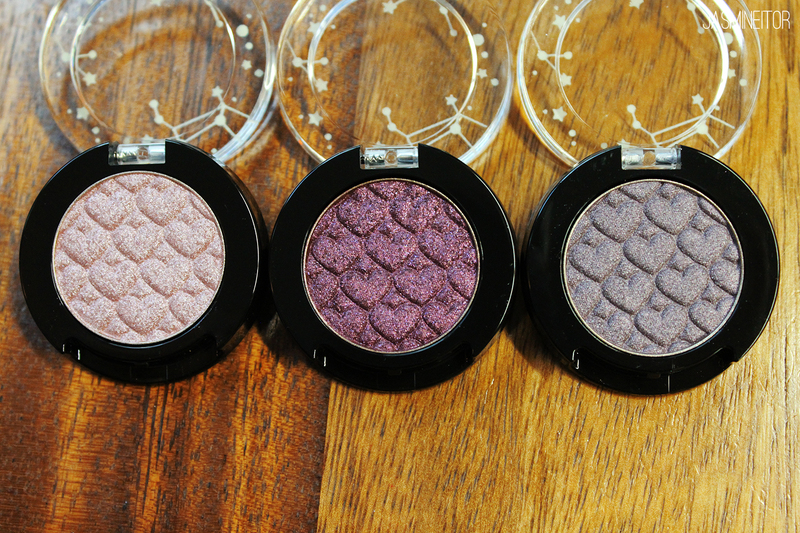 If you want to get any, I’d recommend going for any of the shadows with shimmer bases, and ignoring the matte base shadows. 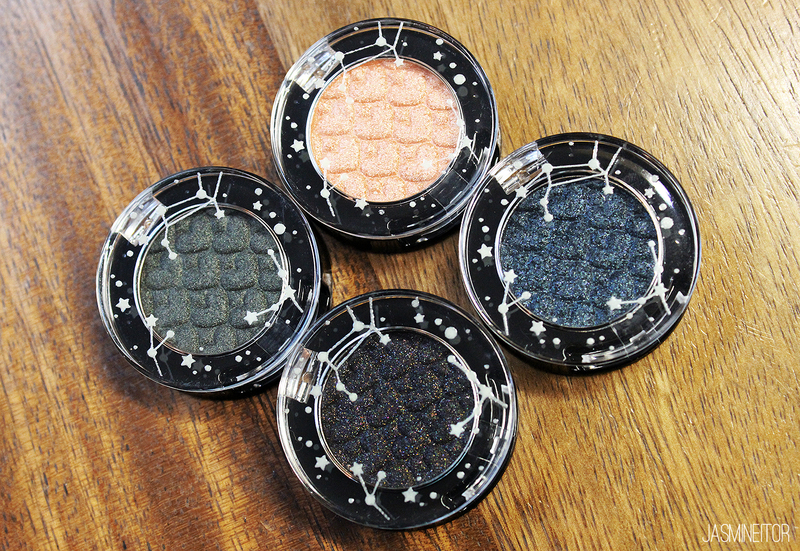 The regular shadows go for 3,500 KRW for 2g of product, and the Jewel shadows go for 5,500 KRW.